Offering you a complete choice of products which include galvanized steel sheet, corrugated galvanized steel sheet, gp coil, c channel profile and galvanized coil. Biggest Manufacturer of Pre Painted Profile Sheets. 5 to 6 pattern profiles. Counted among the illustrious manufacturers and suppliers, we are engaged in offering a comprehensive range of Galvanized Steel Sheet. Available at industry leading prices, these sheets are manufactured utilizing high-grade material and components that are sourced from trusted vendors of the industry. Before final dispatch, these sheets are checked by our team of quality controllers to ensure flawlessness. Biggest Manufacturer of Pre Painted Profile Sheets. 5 to 6 pattern profiles. 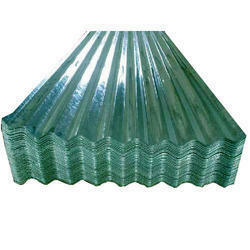 We are instrumental in manufacturing and supplying Corrugated Galvanized Steel Sheet. To manufacture these sheets, we make use of superior-grade materials and components that are sourced from reliable vendors of the industry. Leveraging on our team of quality controllers, we have been able to dispatch our range in stipulated time-period to the clients' premises. Only Distributor of JSW Steel Ltd in Vidarbha. Our company specializes in Manufacturing and Supplying a premium quality assortment of Roofing Accessories & Sheets. We are one of the widely acclaimed manufacturers and suppliers of C Channel Purlin. The offered c purlin is specially designed in the shape of alphabet c. Our supplied c purlin is very much appreciated for supporting and strengthening the rood framework. The offered c purlin is made from superior grade raw materials, sourced from very trusted vendors in the market. Our supplied c purlin is available at very cost effective rates. 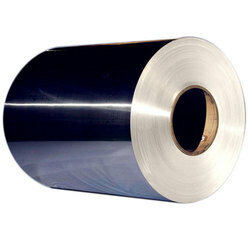 We are manufacturer, supplier, wholesaler and trader of Galvanized Coil. The offered galvanized coil is coated with zinc-aluminum mixture, for inducing corrosion resistance property. 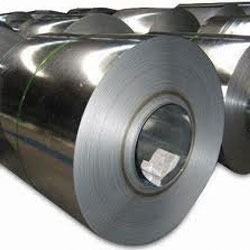 Our supplied galvanized coils are widely used for framing sheets of various sizes and dimensions. The offered galvanized coil is known for higher bending strength and substantial durability.